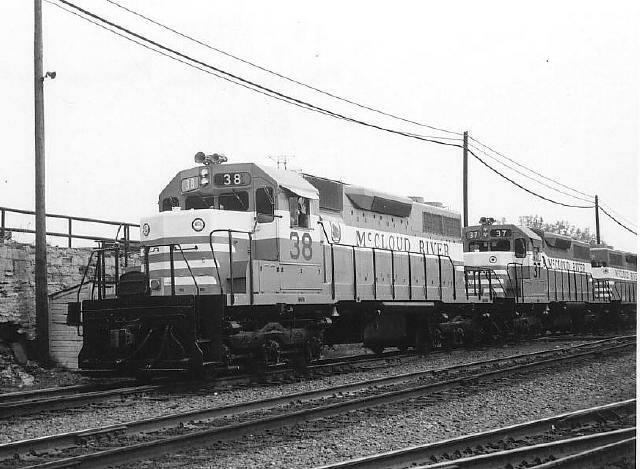 The McCloud's new SD38's have just left the General Motors factory at La Grange, Illinois, in 1969 and are seen here at the start of their long journey westward to their new owner. George Landrock collection. 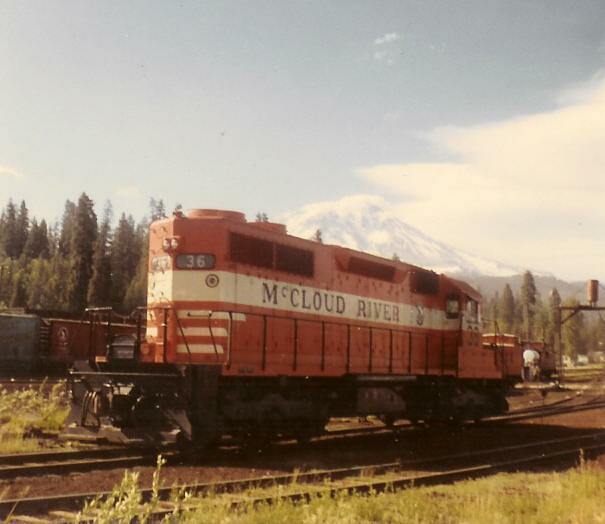 The units on the other end of that journey...they have just been delivered to the McCloud at Lookout Junction and are being checked out before making their first trip to McCloud. Photo from the Travis Berryman collection. 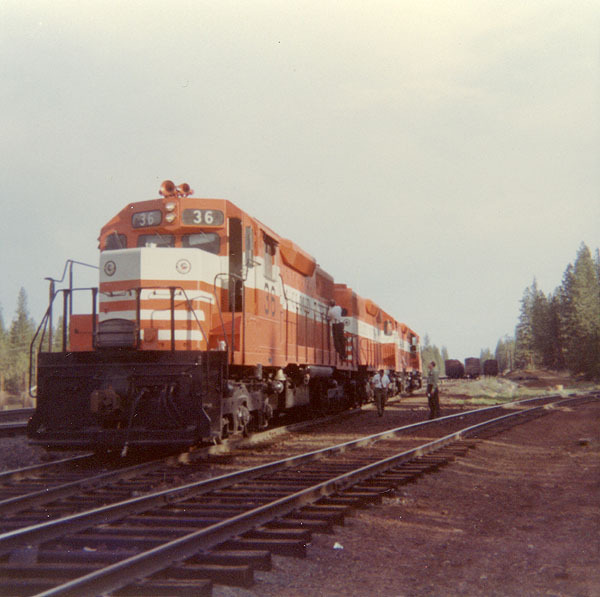 The three SD38's arrived at Lookout Junction during the afternoon of Friday, 9 May 1969. 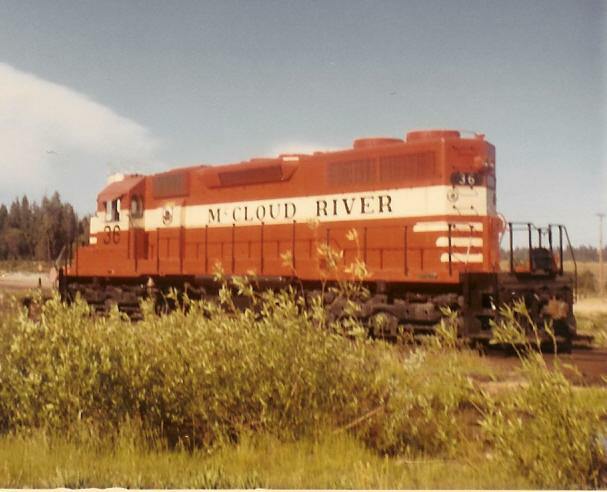 The nightly Lookout job brought the new locomotives to McCloud that night. 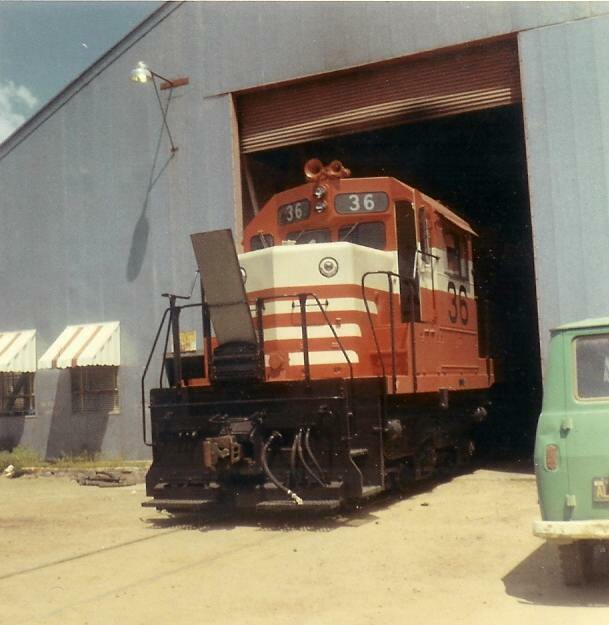 The #36 is seen here poking its nose out of the shop building on the morning of Saturday, 10 May 1969, less than a day after reaching home rails for the first time. The locomotives officially entered service on Tuesday, 13 May 1969. Photo by and courtesy of Dennis Sullivan. The #36, again on the morning of 10th May. Photo by and courtesy of Dennis Sullivan. Another shot of the brand new #36. Photo by Dennis Sullivan. You can almost smell the paint fumes. Photo from the George Landrock collection.